Buying Guide - Which artificial grass should you buy? 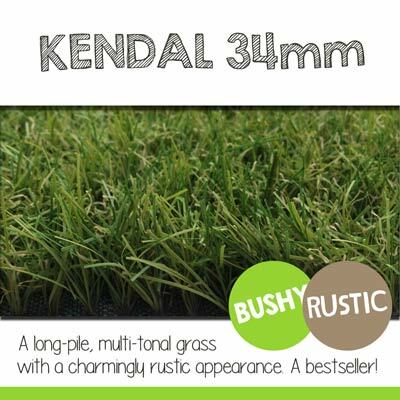 You’ll have probably noticed that today’s artificial grass comes in all sorts of different shapes and sizes. There’s long, bushy ones. There’s crisp, densely woven short pile ones. All-green ones, silky ones, springy ones. Even blue ones! Although it’s mostly just a matter of personal preference. There are some grasses that are better suited for certain things than others. So, which one should you buy? Our handy buyers guide is here to help! As a rule of thumb, the denser the fake turf, the more comfortable it is. Density is usually referred to as GSM or Grams per Square Meter and is an indicator of how densely woven the yarn is. Dense grasses are spongy and cushioned, lovely! That said .. Just because a grass is dense, it doesn’t always mean it’s going to be the comfiest. It’s also got to do with the type of yarn being used. Curly yarn, known as ‘thatch’ is what gives a grass its sponginess and supports the pile, helping to keep it plump and upright. Straight yarn is often used as the main bulk of the yarn and has a silky soft texture. C-Shape, S-shape and W-shape yarn is slightly curved and gives the grass more springiness. Why is European Artificial Grass the best? Artificial Grass is popping up all over the place in its current celebrity status. But not all synthetic turf is made equal. Through rigorous research and delving into mountains of samples, we’ve realised why there’s only one place you should be sourcing your fake turf from. Europe. Like anything produced in Europe, the standards are high and the regulations strict. You can be confident that what you’re getting is going to be perfectly safe your pets and kids. Will be UV stabilised and has been treated to ensure its as stain resistent as possible. Stop watering, feeding, weeding and mowing your lawn. Artificial Grass gives you the low maintenance of paving whilst still giving you the green space you crave! Our products are robust and will take all sorts of punishment. Our products are perfect for grubby hands and mucky paws. As they’re EU made they’re guaranteed to be free of Lead and Cadmium. They’ll have a soft, spongy area to play on that’ll be easy to keep clean and tidy! All of our grasses come with drainage holes to prevent standing water and puddling issues. It can transform a variety of outdoor spaces i.e. roof terraces, decking and balconies. No more slippy decking or boring old paving! 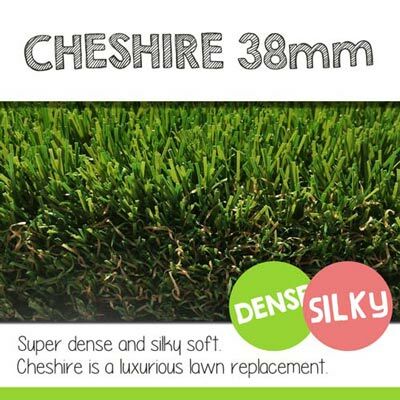 European grass is UV stabilised to stop it from fading in sunlight. Furthermore, a bitumen-coated latex backing ensures maximum durability for many years of sunbathing! Pile Height refers to the height of the yarn used from the base of the backing. Higher pile (30mm+) is generally a feature of higher quality products. Density is usually referred to as GSM or Grams per Square Meter and is an indicator of how densely woven the yarn is. Higher quality grasses tend to at least 2kg / psqm or 2000gsm. UV stabilisation is a process that reduces the effect of UV rays on a material. All of our products are UV stabilised to ensure they won’t fade for a minimum of 10 years. Artificial Grass is manufactured from synthetic yarns. Yarn technology is improving year on year and there’s now a variety being used to create the latest and greatest Artificial Grass. C-sharp yarn is curved and springs up better, for example.